Computers and Me is a primary school textbook that teaches students about computers and information technology. The books introduce students to the world of computers, drawing from their everyday interaction with modern technology and going beyond to discuss the history and future of computing technology. Lively and interactive, Computers and Me adopts a practical approach to computer studies. This textbook features a variety of exercises and activities designed to help students learn independently. Computers and Me also uses child-friendly, age-appropriate language and images to provide students with lessons that are fun as well as challenging. The books also feature a short Teacherâ€™s Guide section to help teachers make the best use of the activities and resources the textbook offers. 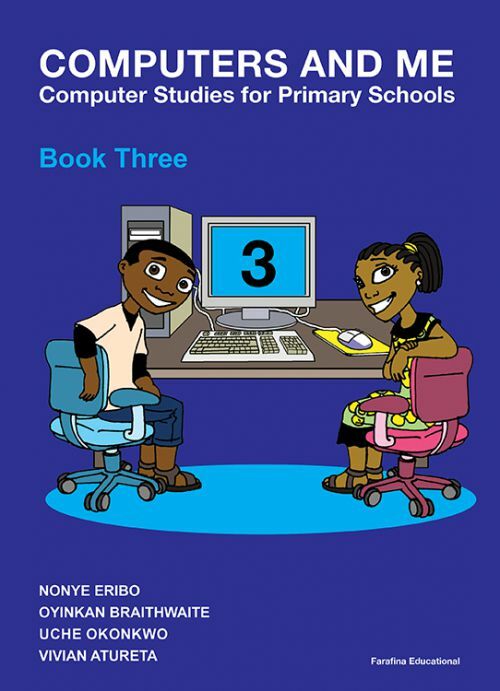 Computers and Me is an exciting addition to Farafinaâ€™s outstanding collection of educational books. It is an essential learning tool that will enable students to thrive in the information age.